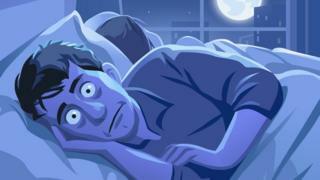 They hope that dispelling sleep myths will improve people's physical and mental health and well-being. Dr Robbins argues: "Often if we're watching the television it's the nightly news… it's something that's going to cause you insomnia or stress right before bed when we're trying to power down and relax." "It does take the healthy sleeper about 15 minutes to fall asleep, but much longer than that… make sure to get out of bed, change the environment and do something that's mindless." Dr Robbins concludes: "Sleep is one of the most important things we can all do tonight to improve our health, our mood, our wellbeing and our longevity."